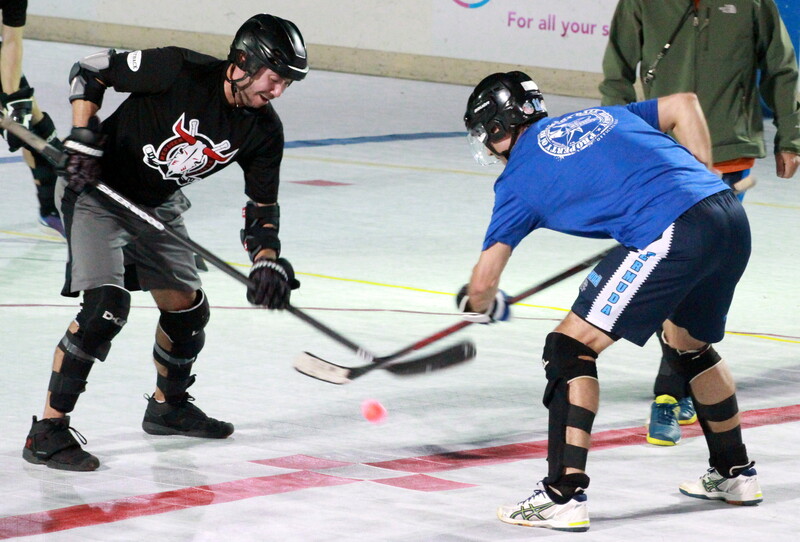 A total of 17 goals were scored in Bermuda Ball Hockey League action at the PCC Hockey Rink, with one game a blow out and the other needed a shootout. The Red Deer Rebels would defeat Rimouski Oceanic 5 – 1 in the opener, Olli Foxley would score the only goal of the First Period to give the Red Deer Rebels the lead. Rimouski Oceanic would level the game at 1 – 1 early in the Second Period, but from there the Red Deer Rebels would score four unanswered goals, Wayne Newhook scored for the Rimouski Oceanic, but Jeremy Estey would find the back of the net for the Red Deer Rebels to hold a 2 – 1 lead at the end of the Period. In the Third Period the Red Deer Rebels would get a second goal from Estey, his goal was followed by Warren Miller, before Shannon Gosse scored. In the nightcap the Guelph Storm defeated the Las Vegas Wranglers, but needed a Shootout goal off the stick of Chris Allington to win 6 – 5. The Guelph Storm would get a hat-trick from Christopher Merritt in regulation time, while Adrian Stromberg and Allington both added a goal each. The Las Vegas Wranglers would get two goals off the stick of Ronnie Dzurus, while Brian White, Derek Winch and Aaron Cook would all score a goal each.